Multivitamins | Your Health. Your Lifestyle. Iron is part of the make-up of hemoglobin and myoglobin (“heme”, as in blood; “myo”, as in muscle). These substances have the remarkable ability to grab onto or release oxygen and carbon dioxide at the right times and places. Anemia from iron deficiency is aptly called “iron-deficiency anemia”, resulting in pallor and weakness. The anemia of children is due to either some subtle form of blood loss or inadequate intake of iron, either in elemental form or organic form. A simple look at red blood cells is diagnostic for iron-deficiency anemia. A little red meat and many vegetable sources, and the amount in a typical multivitamin/mineral preparation, do a good job of prevention. Giving vitamin C along with iron can enhance the correction of iron-deficiency anemia. Minerals, which are chemically and nutritionally different from vitamins, have an excellent safety record, but not quite as good as vitamins. On the average, one or two fatalities per year are typically attributed to iron poisoning from gross overdosing on supplemental iron. Deaths attributed to other supplemental minerals are extremely rare. Even iron, although not as safe as vitamins, accounts for fewer deaths than do laundry and dishwashing detergents. Do not allow your child unfettered access to multivitamins containing iron (most iron-containing supplements have child-resistant caps as well). The amount of iron in multivitamins, even when taken twice daily, is fine. There were zero deaths in 2008-2009 from any mineral supplement, according to the U.S. National Poison Data System. This means there were no fatalities from calcium, magnesium, chromium, zinc, colloidal silver, selenium, iron, or multimineral supplements. A healthy diet is the first and most important step. While multivitamins can certainly help, they should not be a replacement for fresh fruits, vegetables, nuts, whole grains, and healthy oils. Keep your diet low in terms of eating red meat and unhealthy fats. Use a good-quality daily multivitamin. Quality multivitamins are an excellent and inexpensive way to give your body the added boost it needs. Remember your vitamin D supplements as these can help lower the risk of colon and breast cancer. Try to get between 800 and 1,000 IU’s of this vitamin each day. For most people, this means taking a supplement in addition to their multivitamin. Some individuals may require up to 2,000 IU’s a day in order to maintain adequate blood levels of vitamin D. This is especially true for those with darker skin, those who live in the northern states during winter, and those who are not outside in sunlight very much. Remember to talk to your doctor about supplements. Generally, individuals should stay away from the mega multivitamins and supplements. Vitamin D may be an exception though, depending on if you fall into a risk group or not. Don’t be fooled. Stay away from vitamin and supplements that promise quick cures or super-duper results. These are often seen on late night television and on the internet. Just avoid them and eat a good diet and take a quality multivitamin. That is all you need to do. Are multivitamins Worth the Price? Some individuals may be wondering if multivitamins are worth the cost and the effort. Not surprising when one considers all the bad press multivitamins are getting lately. For instance, in the Harvard Men’s Health Watch, published March of 2008, readers may have gotten the impression that most of the ingredients in multivitamins were not worth buying or ingesting. In the Nutrition Action Health Letter of June 2008, it was suggested that individuals only take multivitamins every two days and not everyday. What brought about this concerned buzz? Folic acid. Or to be more precise, the concern that people were getting too much folic acid because of the use of multivitamins. So, what to do? Here is a good suggestion. Take a multivitamin on a daily basis, but cut down, or eliminate, consumption of fortified foods that can deliver a lot of folic acid to the body. Folic acid and folate are both in the family of B vitamins. The names they carry come from the Latin word for leaf—folium. Folate can be found naturally in vegetables, fruits, many types of grains, and several other foods. It is in a natural form at this phase. On the other hand, folic acid is the synthetic form. 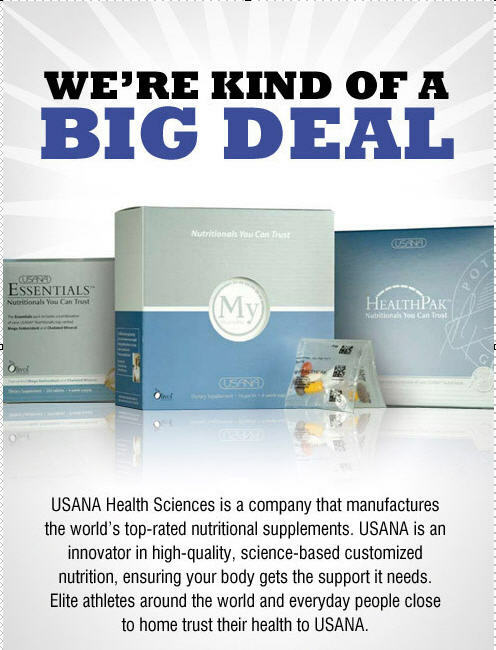 It is only available when it is added to different types of foods or when added to vitamin supplements. The important thing to remember is that folic acid will absorb more quickly but the body will still need to convert it to folate before it actually does any work. Folate is essential in healthy cell function. It has the job of moving carbon atoms (along with the attached hydrogen and oxygen atoms) from one chemical compound to the next. This transfer is crucial to cell functions and that is why folate is so important. Folate is also crucial for making and repairing DNA. It also assists in the conversion process of amino acids, which are the foundation for proteins. Some of the best ways to get folate is to eat beans, sunflower seeds, various types of greens, fruits, and vegetables. Starting the late 1990’s, folic acid was added to just about all enriched breads sold in the US. It was also added to rice, pasta, flour, grain products and cornmeal. It was added to these food products as a means of preventing spina bifida as well as anencephaly. These are birth defects caused (in part) when there is not enough folate in the mother at the time of conception. By adding folic acid to food products, folic acid was increased, on average, by 100 micrograms per day. This helped to reduce the number of US children who were born with a neural tube defect by an estimated 25 to 50 percent. Controlled studies also showed that folic acid helps to protect people from strokes. Some studies have also suggested folic acid may reduce the risk of heart disease as well. The IMO (Institute of Medicine) has recommended that adults receive 400 micrograms of folate or folic acid per day. They recommend that pregnant women get 600 micrograms per day. 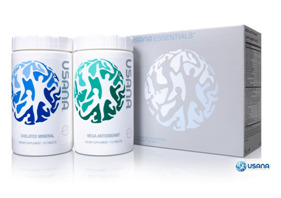 The IMO often sets guidelines for both vitamins and other nutrients. It should be noted that the IMO also suggested that individuals NOT take more than 1,000 micrograms of folic acid a day if it comes from vitamin supplements or if it comes from fortified food. This limit does not apply to folate that is eaten via food intake. While it may sound contrary, it has been shown that taking too much folic acid can actually hide B12 vitamin deficiency signs. Older individuals often suffer from this at the rate of about one in six. This is often because the elderly do not get the level of B12 that they need or it is not absorbed efficiently. It has also been shown that excessive folic acid levels can mask the signs of anemia. This is another of the early warning signals of vitamin B12 deficiency. If not treated in a timely manner, it could lead to health issues such as dementia, confusion, and severe damage to the person’s nervous system; some of which may be irreversible. The above are just a few of the health issues associated with excessive folic acid levels. It is also known that normal levels will often help prevent early tumors, but too much folic acid can actually help tumors grow faster. Some other studies have reported that too much folic acid may be linked to an increased risk for various types of cancer such as breast, colorectal, and prostate cancer. It should be noted, however, that these reports and studies are somewhat limited and many other studies have not found a link between excessive folic acid and cancer. It is not surprising that many consumers are confused over folic acid. In one major study, it was reported that fortifying with folic acid may cause a minor increase in colon cancer. Another equally major study, suggested that other causes may be at the root of colon cancer. And others debate that more effective detection methods for finding colon cancer are the reasons more cases were noted. It could be argued that since doctors are now more effective in locating colon cancer earlier, it is their work that has brought about the increase in colon cancer reporting and that folic acid has nothing to do with it. In fact, studies have shown that there is a lowered chance of colon cancer, as well as breast cancer, when folic acid or folate levels are increased. It is known that with higher intakes of folic acid the body cannot convert it all into folate. How this may or may not affect the person’s overall health is not clear at this time. Many of the foods that we eat everyday such as nutrition bars, breakfast cereals, and forms of fortified foods, can contain as much as 800 micrograms of folic acid. This is more than double what most people need on a day-to-day basis. Consider this: if a person consumes an average size bowl of the breakfast cereal Special K, they will get about 390 micrograms of folic acid. If that same person ingests a Nitro-Tech nutrition bar later in the day, they have addd another 800 micrograms of folic acid. And if they eat just one half cup of pasta later on, they can add another 85 micrograms to the total. As you can see, it doesn’t take much to get to and exceed the daily recommended upper limit of 1000 micrograms. And this is the upper limit as set by the IMO. It is important to know when enough is enough when it comes to vitamin intake. And this applies to all vitamins and minerals. For instance, too much vitamin A can lead to a weakening of bones which can lead to bone fractures. Likewise, too much folic acid can lead to health issues as well. On the other hand, it is also important to remember that we often do not get the needed amount of vitamins and folic acid that we require through food alone. Eating foods that are fortified with folic acid is one way to increase intake, but it must be done with common sense. Nothing is better than healthy food, but multivitamins and supplements can play an important role as well. This can be especially true for certain groups of people such as pregnant women, elderly individuals, those who do not have access to healthy food on a regular basis and others. A sensible idea is to take a multivitamin every day and make it a habit to limit or eliminate foods that have been fortified above 100 to 200 micrograms of folic acid. This is one of the best ways to get the vitamins you need without going overboard. Do you think that the idea of something being herbal has anything to do with psychology? Over 70,000 deaths occur from drug reactions in the United States, according to the book The People’s Pharmacy. 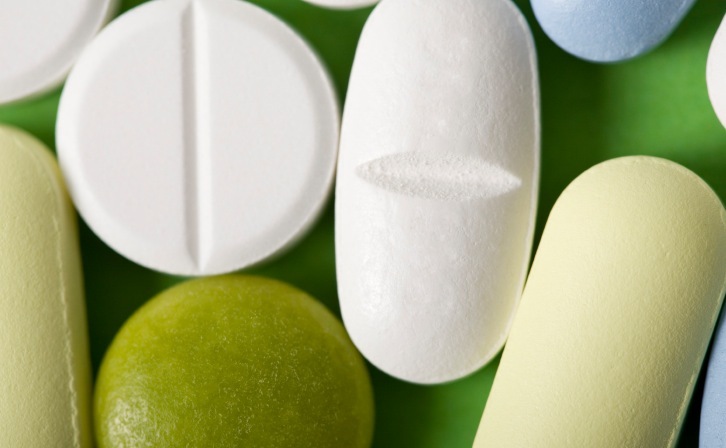 Drug reactions are responsible for up to 11 percent of hospital admissions. This is not to say that medication can’t be helpful, because it is, and it can be lifesaving. But because so many medications have unwanted side effects, people sometimes prefer to try something natural if it’s available. Herbal medicine, which is something that’s been available through the centuries, has a good history of what’s considered to be outcome research. In other words, people feel better. That’s not to say they shouldn’t have an evaluation by a qualified health provider to make sure they’re not self-medicating when, in fact, something else should be done. But there are many instances in which herbal medicine can be helpful. Green tea is an excellent example of this. Will green tea ever wipe out chemotherapy? Does it have the ability to do that, or must it be used in conjunction with something else? Studies have shown that the more antioxidants the body can utilize, the more protective benefit there is. Therefore, it’s recommended that you follow a diet that’s high in vegetables, fruits and other substances which provide natural antioxidants. Furthermore, preventive medicine is something that should be focused on more. In fact, there is a study on the 25-year war on cancer that was declared by President Nixon. After spending over $30 billion on the war on cancer, researchers came up with the conclusion that more emphasis needs to be placed on preventative medicine. I don’t think green tea or any natural treatment is going to replace conventional treatments for cancer by themselves; but I think if Americans focus more on prevention, great strides will be made in our health for the 21st century. People should take multivitamins that’s high in antioxidants, minerals and trace elements as a base. Then if they want to supplement with additional antioxidants, for instance green tea, vitamin C — any of these used in combination will offer more protective effects than when taken singularly. A lab check was performed to check out the contents of 21 multivitamins, including name brands and store brands from Costco, CVS, Dollar General, Rite Aid, Target, Vitamin Shoppe, and Walgreens. Testers analyzed the contents to see whether they contained certain vitamins and minerals in the amounts printed on labels. They also dropped them into a stomach-acid-like solution to see whether the pills would dissolve properly in your body. (If they don’t, their nutrients wont’ be absorbed). Testers also checked for worrisome levels of contaminants such as heavy metals. None had them. And it turns out the store brands did just as well in the tests as Centrum and One A Day – and some cost less than half the price. TIP You can probably save money by skipping multivitamins if you et well and aren’t pregnant or on a restricted diet. All but two of the vitamins (the Not So Hot ones below) did well in the tests. But these three Costco multis had the lowest per-pill prices. They come in giant bottles! They were also the only ones with the seal of the U.S. Pharmacopeia (USP), an independent authority that sets industry standards. These two were the most expensive multis and the only ones with some samples that failed the dissolution test. Also, some samples were outside the testing guidelines, containing more of some nutrients or less of others than the label claimed: Some One Daily (Vitamin Shoppe) had more calcium and less vitamin A; some Whole Source (Rite Aid) had more zinc and vitamin D. Fortunately, those higher or lower amounts don’t pose a health concern. The “USP Verified” seal indicates that the supplement manufacturer has voluntarily asked the USP labs to verify the product’s quality, purity, and potency. If the label just references “USP” without the seal, the product probably hasn’t been tested. Buy big brands at Walmart – Walmart always had the lowest prices, with Target a close second. Drugstore prices vary widely from chain to chain. If you want to save even more, consider buying a store-brand multi. Compare labels to make sure you’re getting all the ingredients you’re looking for; formulas are similar but might not be identical. You will save a lot if you buy a store’s private-label brand instead of buying Centrum Ultra Women’s at the same store.